"Customer response to the new iPad has been off the charts and the quantity available for pre-order has been purchased," Apple said in a statement. "Customers can continue to order online and receive an estimated delivery date." We previously reported that U.S. pre-orders had already been pushed past its March 16th launch date as of Friday morning, with shipping estimates now having been pushed out to 2-3 weeks in all countries included in the initial batch of launches. The 3rd Generation iPad will still be available for purchase on March 16th at Apple retail stores, presumably to long lines. The new iPad was announced last week and introduced a Retina Display, A5X Chip, LTE and 5MP Rear Camera. Finally something other than that ridiculous tether thing that u have to pay for. Dates slipped heavily here in Japan, too. 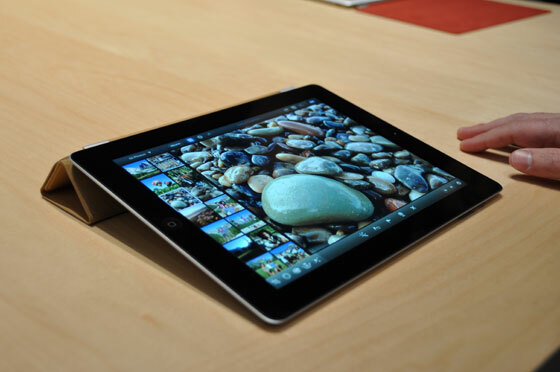 Though Windows 8 looks interesting, there is nothing close to the iPad on the market right now. I wonder if apple are constraining supply deliberately to make it even more desirable? Every time I hear someone claiming this kind of nonsense, it makes me wonder. Every company knows that if you miss an opportunity to sell, the opportunity might be gone. Everybody who has an iPad and wants to upgrade and can't buy will potentially stick with their iPad until the next model is released in a years time. Everybody who wants to buy their first iPad might decide to buy something else instead. The added desirability (if there is any, some people just hate having to wait, so a "shipping in two weeks" notice make it highly undesirable for them), is far outweighed by the loss in actual sales. Mine should be delivered Friday :)! another rub in for the naysayers of iPad. Samsung will have to give up and just focus on phones. Those who need the newest items and upgrade every year. Those who like to keep fairly up to date, but don't necessarily buy every year, maybe every other year. Those who will keep their iPad as long as they can before spending the money on a new one. I suspect that the second group is quite a significant proportion. I am one myself, as I upgrade my stuff every other year. These people didn't buy an iPad2, but they are buying now. I cannot wait to hold one in person to see how the display comes out and waiting for the 4G LTE speedtest result. I wonder how many were sold...?